“I think the song sounds like a glamorous bedazzled monster truck,” muses Ben Roth of his band Bod’s single, “True Cinnamon.” His description is as amusing as it is accurate: With its lively guitar riffs and glamorous melodies that put everyone from White Denim to The Strokes to shame, “True Cinnamon” is a rich expression of force and joy. Clean and gritty, it’s the epitome of all that helps Bod shine brightest on their new True Cinnamon EP: Clever, honest and endearing lyrics combine with colorful indie rock at full throttle to create a warm, intoxicating set of songs. Atwood Magazine is proud to be premiering True Cinnamon, Bod’s much anticipated, ridiculously engaging and high-energy sophomore EP (out 4/14/2017 via Swoon Records). Consisting of Ben Roth, Lance Umble, Zach Dimmick, and Jonathan Angle, the Seattle foursome (stylized bod) describe their music as “jet-ski rock” and “post-grungegaze.” In other words, the trailblazing troubadours push indie rock past its own limits, bringing their collective experience from bands such as Oberhofer, EZTV, Telekinesis, Sloucher, Crater, and Boat to the table in crafting a wholly unique, incredibly provocative alternative sound. Each of the EP’s four main tracks (the 30-second “Fake Cinnamon” leads into “True Cinnamon”) finds the band exploring a different side to their musicality: Affectionately-titled opener “Fleetwood Zach” finds the band dipping into the dreamy haze of psychedelic garage rock, while “Jet Ski” feels like a post-punk rager with strong riffs and Jonathan Angle’s impeccable drum work. 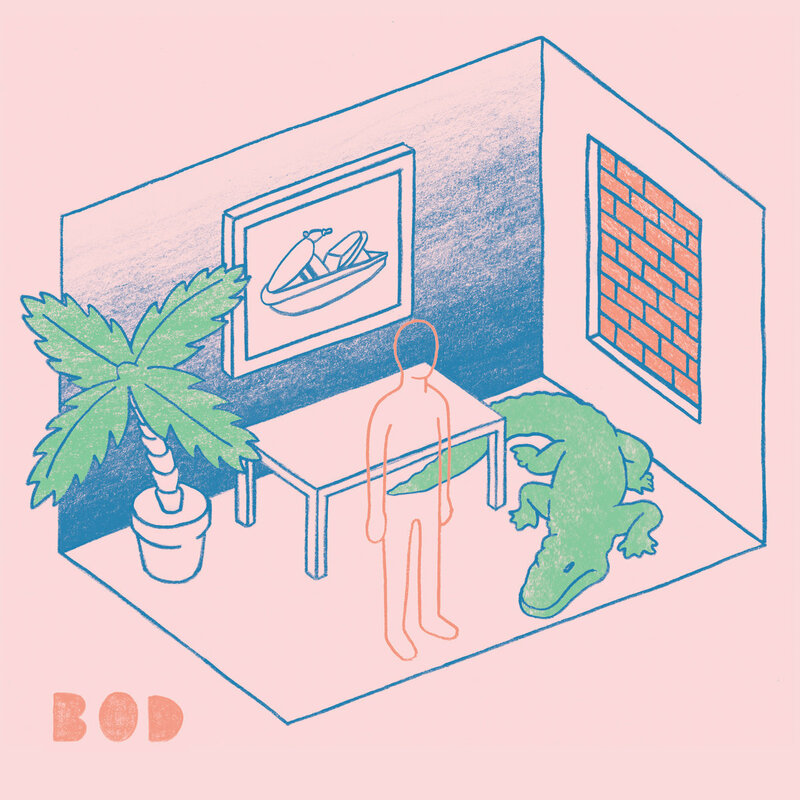 Yet even at the group’s darkest and most serious moments, Bod’s playful mentality perseveres: “There’s a lot of laughter in Bod,” Ben Roth admits. It’s an attitude the band embraces, and one that permeates their record in the most joyful of ways. As Roth explores his own faults and shortcomings on “Son of the Right Hand,” the band injects an infectious youthful energy through evocative licks, head-turning transitions and harmonious chord progressions. An open-eyed curiosity and pervasive sense of wonder keeps True Cinnamon alive and exciting from start to finish. “Throughout my 20’s I’ve tried to be a social chameleon; I feel like I always want to be in more than one place at a time,” explains Roth. They can’t be everywhere at once, but that excitement and energy – a drive to live life to the fullest – penetrates through and radiates off every second of Bod’s True Cinnamon EP. 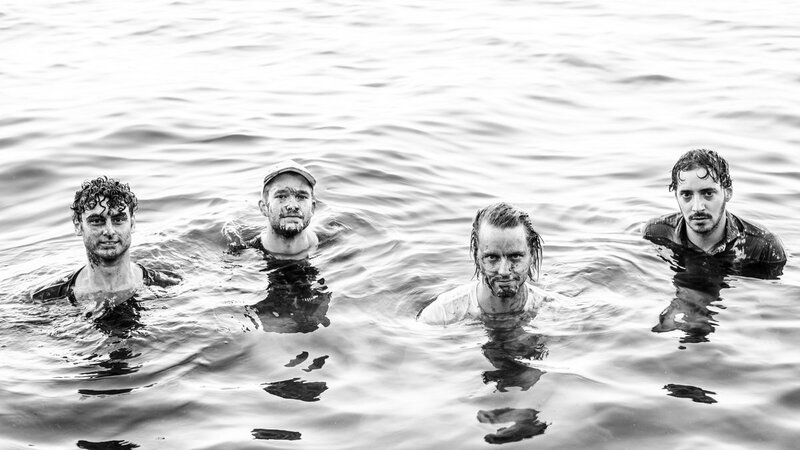 Experience the full record via our exclusive stream, and peek inside Bod’s sophomore release with Atwood Magazine as Ben Roth provides his personal take on each of the band’s brand new songs. This song started out with the chromatically ascending part that occurs in the intro and choruses. Zach (guitar, synths) came to practice one day with that riff, and we collectively messed around with some other ideas until it all came together. The song had sort of a haunting, lonely, dreamy vibe. I felt like the laid-back shuffle feel gave a sense of motion, like you’re wandering endlessly. I had recently learned about Aokigahara, a forest at the base of Mt. Fuji in Japan where an unusual amount of people go to commit suicide. I found something intriguing and beautiful about that. I remember having a similar feeling when we had to read Dante’s Inferno in high school. One of Dante’s rings of hell is the Forest of Suicides. I found the parallel between an imaginary spiritual world conceived of 700 years ago and Aokigahara very interesting. I think I had also seen “Antichrist” around that time, which also utilizes the wilderness allegorically. Lastly, we all grew up here in Washington state, so that might have something to do with it, haha. The main subject matter of the song stems from growing up with someone with chronic depression and trying to empathize with an experience you can’t truly understand unless you have it. I’d be careful to say that I am romanticizing it, because it’s something I don’t think I can really understand and I don’t want to undermine people’s mental health struggles. I hope it’s obvious that there is a sense of hope conveyed in the lyrics, because that’s a big part of it as well. This song is mostly about the existential anxiety you get from dealing with constant stimulus. It’s when you realize your habits, desires, health, and relationships are all out of balance. It sounds hurried and frantic, but is also super fun to play. There is a lot of laughter in bod. This song definitely started out as a joke. It’s not a joke anymore! One day, before rehearsal, Zach came over to my apartment in downtown Seattle. I had been working on learning to improvise better over rhythm changes (a common jazz chord progression). We’re generally really goofy around each other, so when he came into my apartment I jokingly started playing the changes using that blues-shuffle riff you learn when you’re first starting out on guitar. Then I tried doing the same for the changes in John Coltrane’s “Giant Steps”, again as a joke….but it sounded really cool! Sort of like the Teenage Mutant Ninja Turtles cartoon theme song. The image of a jet ski definitely came to mind, which became the title eventually. It also became my first tattoo, haha. When I lived in Brooklyn, I spent way too much time at this bar called ‘Skinny Dennis’, where a bunch of insanely good country-jazz musicians perform. I tried to incorporate some ideas i gleaned from watching those players into our sound. It can be really rewarding use certain melodies in different musical contexts. I think a lot of break-up songs (particularly ones written by dudes) frame the subject of the song as being some kind of emotional villain. It’s another way that perpetuates the toxic idea that women owe something to men and that they’re allowed to act like angry children when they don’t get what they want. I have definitely been that kind of selfish before. This song is sort of like, “Hey dude, I know you’re angry, but this is all out of your control and you’re being kind of pathetic and selfish.” Coming to this realization makes it difficult to listen to a lot of the music I liked in high school, haha. But I feel way more free and at ease now! We always joke about turning the intro melody into a N*kia-style ringtone. Someday. Vocals aside, I think the song sounds like a glamorous bedazzled monster truck. What do you think? This song sort of goes back to a time before Bod existed. I’ve written about 8 different versions over the past 6 years or so, with various themes and totally different melodies. It might sound stupid, but the title is just the biblical meaning of my name. It could be read as a double entendre, considering the song is sort of a letter to myself. Throughout my 20’s I’ve tried to be a social chameleon; I feel like I always want to be in more than one place at a time. While it has worked out occasionally, it’s often caused me to avoid responsibilities and become overwhelmed at other times. Sonically, I think I was trying to imagine what “Heart-Shaped Box” would be like if Big Star had written it. The bridge has a small nod to one of my favorite Duke Ellington tunes, “Fleurette Africaine”. We had a handful of spacier, fuzzier songs prior to this, so it was an attempt at writing something with pop-oriented grooves and more traditional melodies and guitar parts.